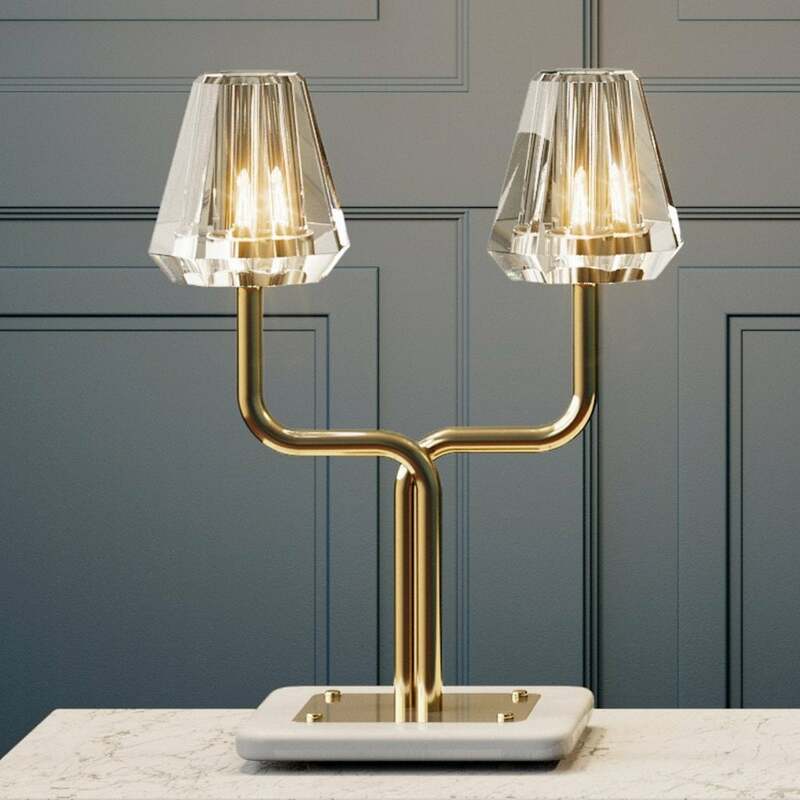 Combining precision-cut crystal, sculptural tubular brass and ceramic, the Aquiline lighting collection from Gestalt Lighting creates a stylish interior statement, whether in a historic or contemporary home. The twin stem table lamp is the perfect statement piece bringing an elegant warm light to a hallway console or tall side tables. The addition of a ceramic base adds balance to make this a timeless interiors accessory. With creative Direction from Christopher Jenner, Aquiline seamlessly connects traditional materials and crafts with contemporary styling in a truly special collection of lighting. View All Gestalt lighting for more information on Aquiline or view the complete Aquiline Collection.